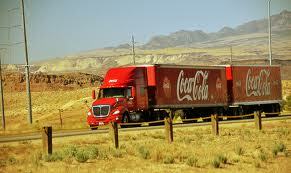 Having been a professional truck driver and trainer for more than 30 years, I find that you never, ever know it all. There are always new things to learn. My primary goal with this blog is to help other drivers (especially newer ones) with pertinent information and tips to enable them to work happier and more safely. Guest posts, contributors and feed-back are always welcome and wanted! Most truckers' dental emergencies from drivers include abscessed teeth, broken teeth, decayed teeth, and broken dentures, often made worse when dental care is put off. Imagine visiting the dentist for what you think is a quick pain fix and ending up in a hospital emergency room? 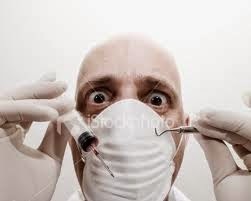 Dr. Thomas Roemer, the dentist at the Iowa 80 Truckstop, has seen it too many times. His practice is 95% emergency, drop-in care, but too often it's beyond any dental intervention. He adds: "When there's an infection that goes down [a face] or below their collarbone or one that goes up into their eye and it's really bad and one of their eyes is swollen shut and they can't really see or drive, these will turn into blood-borne infections then that's a life-or-death situation. And, again, it doesn't happen all the time. But we see enough patients that they might come in just in the nick of time." Roemer, who had his office in the nearby town of Walcott, IA, bought a Yellow Pages ad in the early 1990s. When drivers at the truck stop would look up dentists in the area, he was the first one listed. "Over the years, since we got so many calls, I decided to set up shop here [at the truck stop] part-time. I was only here a day and a half a week for the first 10 years. After ten years, we made it full-time, and I've been out here full time ever since." One of the problems that would-be patients face is pushback from their companies if they feel they have to stop for dental attention. "I have company drivers whose boss will not let them stop and see me, and even if they do, they say they don't have enough time. I tell them to tell their boss: 'Listen, if I don't get help, I'm going to end up in the hospital and I won't be making any money for the company at all.' They should tell their boss that he better lighten up a little and let them care for their dental health or it's going to get extremely worse." Most dental emergencies from drivers include abscessed teeth, broken teeth, decayed teeth, and broken dentures. "It's a lot of pain management," says Roemer. 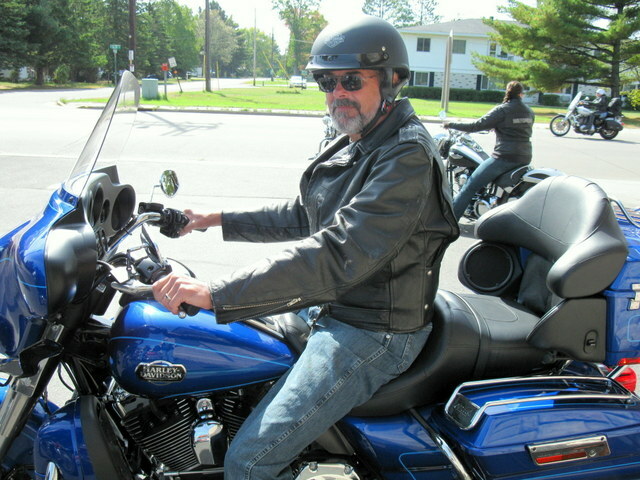 "Many drivers wait until there's a level of pain that's just too much to handle with over-the-counter medications. Pain is a big driver of my business. If I see nine or 10 guys in a day, five to eight of them are experiencing some kind of discomfort." Mainly, Roemer says, he tries to get the drivers taken care of and back on the road until they can see their regular dentist and get their issues addressed. Roemer notes that drivers' overall health affects their dental health. For example, many people with sleep apnea breathe through their mouths. "If you get dry mouth syndrome or if you're diabetic, your healing is definitely inhibited." Bret Tucker, a dentist whose office is in Sapp Bros. Travel Center in Omaha, NE, agrees that drivers' overall health conditions such as diabetes, obesity, sleep apnea and hypertension can impact dental health. "Driver dental health varies just like the regular population. But most of them have worse health because they can't get in anywhere [a dentist office] and their overall health is not good. And, [dental health] is not a priority for them. Drivers get a lot more periodontal gum disease. And with their diabetes, being overweight, the bad food they eat and poor hygiene, their dental health is worse." Tucker says: "Diabetes causes bone disease and gum disease and loosening of teeth. Just like everywhere else in the body, as circulation decreases, it hurts kidneys, eyes, feet, and it's the same in the mouth. [Diabetics] get a lot more abscesses, and infection are harder to cure." Smoking, he notes, is the number one cause of periodontal bone disease. "Back when I went to school, they thought it was a contributing top-five factor, but smoking is the number-one cause of periodontal bond disease. Smoking cuts down circulation, and that cuts down healing." Unlike Roemer, Tucker sees more of the same patients on a regular basis. So much so that he has established a payment option. "As you may know, five of the larger trucking companies are in Salt Lake, and we're trying to get either companies or individuals to sign up. It works like insurance except they have to come here; that's the only drawback. For $240 a year for an individual, $360 for a couple or $480 for a family for the whole year they get a free exam, cleaning, and x-rays, and then everything else is half-off. It's a hell of a deal," he says. Roemer adds that although his practice is driven by walk-ins, he implores drivers to call ahead. "The worst scenario is if we leave at 3:30 and a driver in pain pulls in at 4 p.m. If he had called us from several hundred miles away, we would have stayed. Not that we don’t turn around sometimes, but calling ahead first is beneficial for both the drivers and me. If they don't have my number, they can always call the Iowa 80 Truckstop." Posted by Dan at 9:36 AM 0 Comments - Click Here to Leave Yours! I normally try to steer clear of politics in this blog, but hearing the Jussie Smallett news this morning, nothing should surprise us about Chicago-land. The history of the little guy being squashed by massive Chicago political clout at election time is just too long to print without weeping. But the story for today is so amazing that some Chicago election officials have never seen the like. “No one can remember anything approaching this,” said an election official. It’s overkill of epic proportions, like using a sledgehammer to kill a gnat, or firing off a nuclear weapon to kill a sparrow. A Southwest Side David vs. Goliath story. The David is David Krupa, 19, a freshman at DePaul University who drives a forklift part time. He’s not a political powerhouse. He’s just a conservative Southwest Side teenager studying political science and economics who got it in his head to run for alderman in a race that pits him against the most powerful ward organization in Chicago. 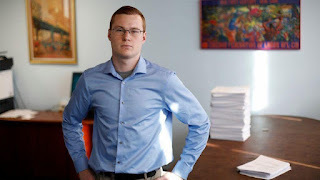 The Goliath is the 13th Ward Democratic Organization run by House Speaker Michael J. Madigan, aka Boss Madigan, the most powerful politician in the state. Boss Madigan has long hand-picked his aldermen. He likes them loyal and quiet. The current silent alderman of the 13th Ward is Marty Quinn. Yes, I do know the neighborhood. For decades, my father and uncle ran a family supermarket in the 13th Ward, at 58th and Pulaski. We’d cash paychecks without charging a check-cashing fee. On government paycheck days, the line of city, county and state workers would ring around the store, for hours upon hours, thousands of them. Even then I knew the power of Boss Madigan. To get on the ballot, Krupa was required to file 473 valid signatures of ward residents with the Chicago Board of Elections. Krupa filed 1,703 signatures. But before he filed his signatures with the elections board, an amazing thing happened along the Chicago Way. An organized crew of political workers — or maybe just civic-minded individuals who care about reform — went door to door with official legal papers. They asked residents to sign an affadavit revoking their signature on Krupa’s petition. Revocations are serious legal documents, signed and notarized. Lying on a legal document is a felony and can lead to a charge of perjury. If you’re convicted of perjury, you may not work for a government agency. And I know that there are many in the 13th Ward on the government payroll. More than 2,700 revocations were turned over to the elections board to cancel the signatures on Krupa’s petitions. Chicago Board of Elections officials had never seen such a massive pile of revocations. “The board has received a few revocations here and there in very rare electoral board cases over the years,” said election board spokesman Jim Allen. But more than 2,700? Impossible, no? The number of revocations far exceeds the number of signatures Krupa collected. That means false affidavits were filed with the elections board. Why would thousands of people lie on a legal document of revocation, and say they’d signed Krupa’s petitions, when they didn’t sign Krupa’s petitions? Were they just being nice? “You know the 13th Ward better than I do,” Dorf said. “This is clown school and election fraud. This is going way, way beyond the line. David is a huge underdog. Go ahead and beat him on Election Day, or do subtle fraud, like taking away yard signs, but when this number of false affidavits are filed, you’re talking fundamental fraud, epic fraud. Dorf said that he will ask the elections board next week to refer the matter to Cook County State’s Attorney Kim Foxx. But Foxx, a Democrat, won’t want to anger the Boss. Neither will incoming Illinois Attorney General Kwame Raoul, who famously said he would not “go fishing” for corruption, and who also received a million dollars in Madigan political money. And current Illinois Attorney General, Lisa Madigan, is the Boss’ daughter. This is Chicago, where the Davids get crushed by the Goliaths. And where the boss is the boss. Posted by Dan at 1:54 PM 0 Comments - Click Here to Leave Yours! The Driving Training Instructor will teach and evaluate students enrolled in the company directed curriculum to obtain a Class A CDL. Instructor will observe, monitor and record student progress. Responsible for performing and maintaining daily evaluations and all other necessary documentation. Responsible for supervising all students in a professional and safe manner consistent with YRC Freight policies and procedures. Instruct students on how to inspect, back and drive tractor trailers safely, proper vehicle inspection, proper backing skills, proper shifting techniques and proper street driving skills necessary to pass state directed testing. Perform daily evaluations through checklists and observation and document progress. Monitor student progress, identify any gaps and provide additional assistance as necessary. Maintain proper documentation, including daily attendance, tracking, evaluations, etc. Model safe behaviors and train students on corporate safety principles and procedures. Ensure students understand safety requirements when in and around tractor trailers. Posted by Dan at 3:03 PM 0 Comments - Click Here to Leave Yours! Feb 4, 2019 ELDs were supposed to reduce driver fatigue and make roads safer, but a recent report suggests that any benefits may have been offset by an increase in unsafe driving behaviors. Alex Scott, assistant professor of supply chain management at the D’Amore-McKim School of Business at Northeastern University, led a team that evaluated inspection and crash data from the Federal Motor Carrier Safety Administration and found that widespread adoption of ELDs in the trucking industry has so far had no measurable impact on the number of accidents. The report, “Did the Electronic Logging Device Mandate Reduce Accidents?”, looked at large and small fleets and compared accident rates before and after the ELD mandate. What it found was that, among small carriers, which are where ELD adoption saw the largest increase from 2017-2018, there was no significant difference in the number of accidents. Among larger carriers there was an increase in accidents after the ELD mandate, but the paper noted that most large fleets were already running electronic logs prior to the mandate. ELDs offer more of a benefit to large fleet, according to the report, allowing them to better monitor their drivers and increase their ability to reduce the number of HOS violations. But for small fleets, whose operations are less complex than large fleets, the monitoring and informational advantage of ELDs are not as compelling, says the report's author. “We show the mandate clearly achieved its first-order effect: Drivers increased their compliance with HOS regulations, with drivers for small carriers most affected, because many large carriers had already adopted ELDs and violated HOS regulations infrequently prior to the mandate. However, there is no evidence to suggest that the number of accidents decreased,” the report states. One thing that did change for the better? Hours of service compliance. HOS violations decreased by 36.7% in the initial light-enforcement phase after the ELD mandate went into effect in December 2017, and a further 51.7% when stricter enforcement set in starting April 1, 2018. Even among owner-operators, who in general were against the ELD mandate, HOS violations fell 43.9%. Researchers found that drivers often had to weigh the benefits of violating hours of service vs. potential productivity loss due to unexpected delays or simply reduced earning potential that stems from a hard limit on hours. This is something that has always been true and in the past drivers got around it by fudging their paper logs. 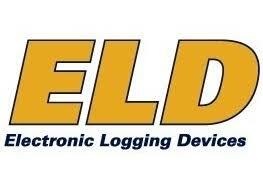 However, ELDs have made it easier for inspectors to catch HOS violations and impossible for drivers to adjust logs. Since it’s harder to avoid the consequences of violating hours of service, there was an increase in driver speeding which could be counteracting the safety benefits ELDs may have gained in regards to driver fatigue. While detractors of ELDs have been saying this for years, the research does suggest that instead of increasing highway safety by reducing fatigue, the primary goal of mandated ELDs, the unintended consequences may be offsetting the benefits. “Our research also provides another example of how policy interventions are fraught with uncertainty in complex systems with many interconnections and possible feedbacks,” the report states. These offsetting results, the researchers say, could have been predicted. The authors found that even before the ELD mandate, drivers were heavily incentivized to avoid accidents, and this didn’t change after the ELD mandate. The ELD mandate was designed to reduce driver fatigue, a cause of some accidents, but it failed to encourage other safe driving behaviors, and may have actually increased unsafe driving behaviors. “Given the legal liabilities involved with being in a crash when outside hours-of-service limits, drivers are incentivized to be extra cautious when driving beyond limits. The ELD mandate has not done much to change the driver calculus in this respect, and so it is perhaps not surprising that we fail to uncover significant accident reductions,” the paper concludes. Posted by Dan at 3:23 PM 0 Comments - Click Here to Leave Yours! Sept, 2018 In this age of nationwide driver shortages, Walmart is doubling down on its efforts to add more highly qualified drivers to its private fleet. 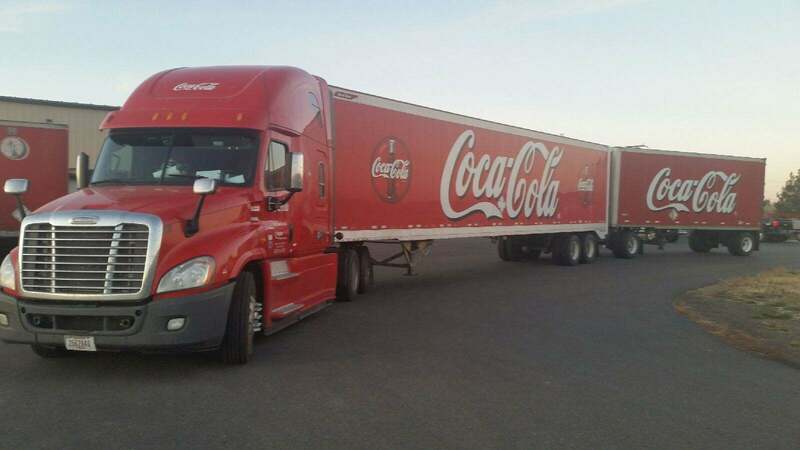 With increased freight demand the company is looking to hire more long-haul truck drivers for and has introduced a referral bonus to current drivers to help bring in more talent. New private fleet drivers for Walmart earn on average $86,000 annually, have access to benefits on day one, receive as many as 21 days of paid time off in their first year, enjoy predictable home time, don’t load or unload freight, and can earn quarterly safety bonuses and incentives. 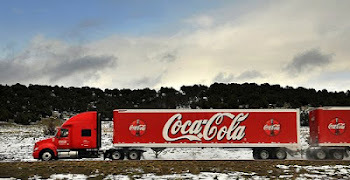 “Any driver or hourly associate in the Transportation Division can receive up to a $1,500 bonus. We’re also streamlining the hiring process to get drivers onboarded much quicker,” said Tracy Rosser, Walmart’s senior vice president of transportation. As a special way to say thank you, during National Truck Driver Appreciation Week, the company is running their first TV commercial dedicated to the fleet drivers to let them know how much Walmart appreciates them and how important they are to the customers, associates and company. You can view the commercial here. Posted by Dan at 11:23 AM 0 Comments - Click Here to Leave Yours! Deer Whistles: Do They Really Work? Is the EPA unfairly targeting Volvo? 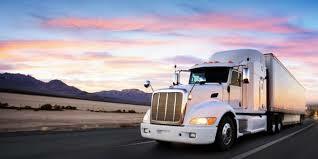 What is the Real Cost per Mile Trucking? Married to the Daughter of a Milwaukee Mob Boss - Our Pediatrician! (Retired as of January, 2018) Having spent 36 years (23 as a trainer) driving tractor-trailer combinations and being involved with 3rd party logistics, I have gained valuable experience in such areas as safety, driver recruitment, hiring, DOT file set-up and maintenance, dispatching,on board computer training and have assisted at many start-up locations. Having been both an employer and an employee, I can objectively see both sides of issues pertaining to management-employee relations. I maintain an excellent relationship with my supervisors, as well as drivers. Have owned and operated three successful businesses. Experienced in the fundamentals of bookkeeping, accounting principles and income tax preparation. Extensive, specific experience in the interview and hiring process of drivers, warehouse workers, driver helpers, and administrative assistants. Specialties include customer relations, driving, DOT regulations, hiring, leadership, logistics, training, transportation, dispatching, safety. Daniel S Bridger is a participant in the Amazon Services LLC Associates Program, an affiliate advertising program designed to provide a means for sites to earn advertising fees by advertising and linking to amazon.com, etc. I am also a participant in the Google Adsense Program. Adsense adds that appear on this site, are not chosen by myself, but I have the capability to delete objectionable adds and will strive to control proper and ethical content. Adsense adds are at the top of the right sidebar and directly below the most recent post.